Though it might not seem like the MCU can get any bigger than it is when you look at the enormous cast of Avengers: Infinity War, the great thing about the Marvel universe is that there are so many more superheroes yet to make it to the big screen. Thankfully, Phase Four will likely fix that, as it’ll aim to bring a fresh batch of lesser-known characters into the franchise, and hopefully turn them into as big successes as the Guardians of the Galaxy, Black Panther and Doctor Strange. 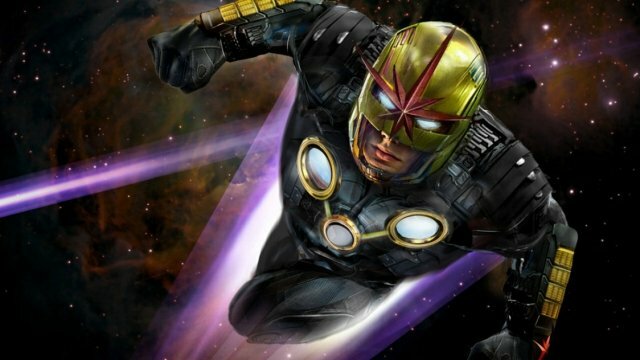 One such hero that fans have been waiting to see show up is Nova, and though he’s been rumored to be on his way to the MCU for a while now, Marvel Studios head honcho Kevin Feige may have just given us our most promising hint yet that the character is indeed coming down the pipeline. Of course, the Nova Corps has already appeared on screen in Guardians of the Galaxy, where they were depicted as a cosmic police force based on Xandar and led by Glenn Close’s Nova Prime. As such, fans have been hoping for years that Richard Rider – the human being who joins their ranks in the comics – will appear in the MCU at some point, too. If Feige’s comments are any indication, it now looks like that’s finally on the cards. But where could Nova show up in Phase Four? Well, given the Nova Corps’ previous connection to the Guardians movies, the most obvious place for him is in Guardians of the Galaxy Vol. 3, one of the few confirmed entries in the next stage of the franchise, which is set to arrive in 2020. Alternatively, it’s also been reported that director James Gunn is working on some Guardians spinoff films, one of which could star the fan favorite hero. For now, all we can really do is speculate, but tell us, would you like to see Nova in the MCU? And if so, who should play him? Have your say in the comments section down below.